BASE Performance, a provider of premier supplement products for endurance athletes and individuals looking to maintain proper nutritional balance, announces the hiring of Robert Larioza as the new Chief Operating Officer. Mr. Larioza has nearly 20 years of operations experience with top consumer companies like Lexus and Bell Sports and start ups like Alteon Websystems, Procket Networks and Mobile Digital Media. Mr. Larioza most recently helped start up LOOK Cycle USA, a subsidiary of LOOK Cycle International, where he held the position of Vice President of Operation and was in charge of designing and implementing all operational functions of the company. "We searched for several months to find someone who had industry experience, an entrepreneurial attitude and start up leadership skills," said BASE Performance President Chris Lieto. "After several meetings with Robert, it was obvious that he would bring tremendous value to the existing BASE team. We are excited to have him join our company." "After speaking with Chris and the rest of the BASE team, researching the product line, and hearing feedback from top Pro athletes using BASE, I knew this was an opportunity I had to pursue," said Mr. Larioza. "I'm thrilled to be partnering with Chris and look forward to building the BASE Performance business with him." Mr. Larioza received his undergraduate degree in Management from San Diego State University and holds a MBA in Marketing from Loyola Marymount University. He resides in San Jose, CA with his wife and two young sons. BASE Performance has developed a unique and simple system for individuals looking to obtain higher energy levels, gain lean muscle mass, enhance metabolic rate and improve performance. BASE performance believes that having a strong base nutritional program will allow individuals to maintain a healthy body so they can train, recover, adapt, and become stronger in order to perform to their highest potential. BASE Performance currently has a strong group of top Pro Athletes using BASE products to reach their maximum potential. The group includes, Chris Lieto, Matt Reed, Brent McMahon, Simon Whitfield, James Cotter, Linsey Corbin, Ben Collins, Ryder Hesjedal and Cameron Evans. 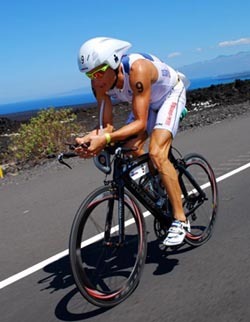 BASE Performance products were recently reviewed in the July 2009 issue of Triathlete Magazine (Pg. 30). BASE Performance products are sold direct to customers through their website, www.baseperformance.com.